Address: 1091 Budapest, Üllői út 131. On most of the international services students get 10% discount. In case you show your valid student ID our clerks will give you this discount automatically (if you havent taken another discount already) or if you buy online the system will display the discounted price in case of giving the data of the ID. 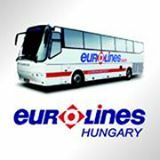 The student discount is available with valid Hungarian student ID or with ISIC or IYTC cards.